Two Simple Summer Sides | Live. Learn. Love. Eat. It has still been HOT outside. We are usually inside for most of the day to keep cool, but some afternoons we have been enjoying sitting outside to eat our lunch together. 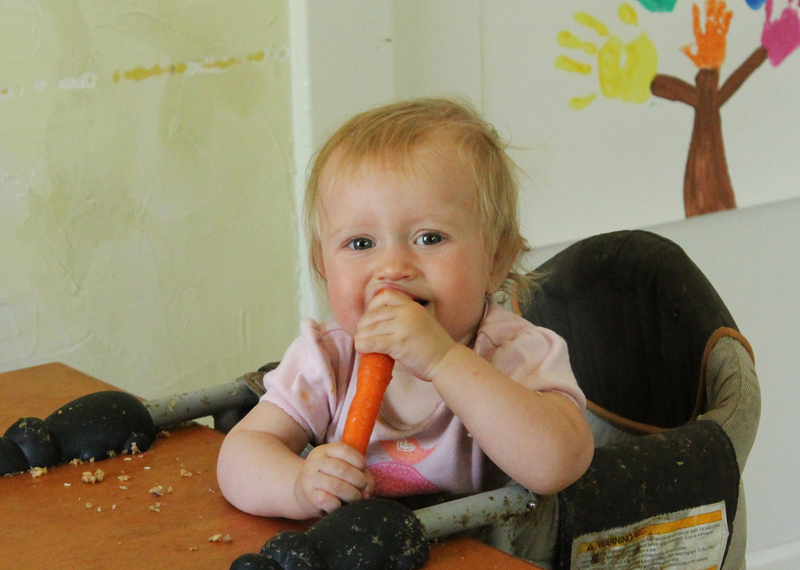 Here are two easy summer sides we have been enjoying during these hot summer days. Bring a large pot of water to boil, add the cut baby potatoes and boil 12-15 minutes, until fork tender. While the potatoes are boiling, whisk together the red wine vinegar, Dijon, sunflower oil and dill in a small dish. Place the drained chickpeas, diced celery and diced red onion together in a large serving bowl. Add the cooked potatoes and pour the red dressing on top. Stir to coat and serve! Shred the cabbage and the carrots in a food processor. 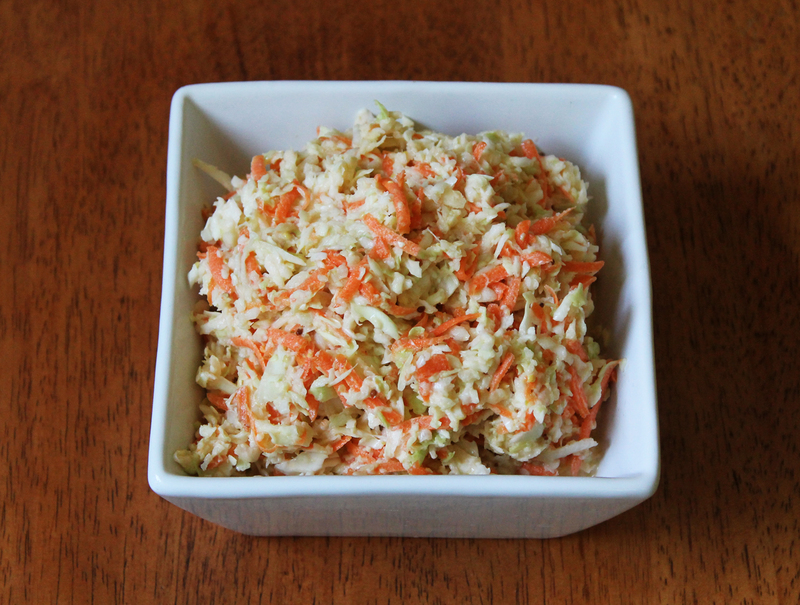 Place the shredded cabbage and carrot into a medium mixing bowl. Add the vegan mayonnaise, white wine vinegar, maple syrup, Dijon mustard and sea salt and mix until combined. Both of these sides look delish! What a great salad recipe! I must make this. Great side dish ideas that look perfect for summer. 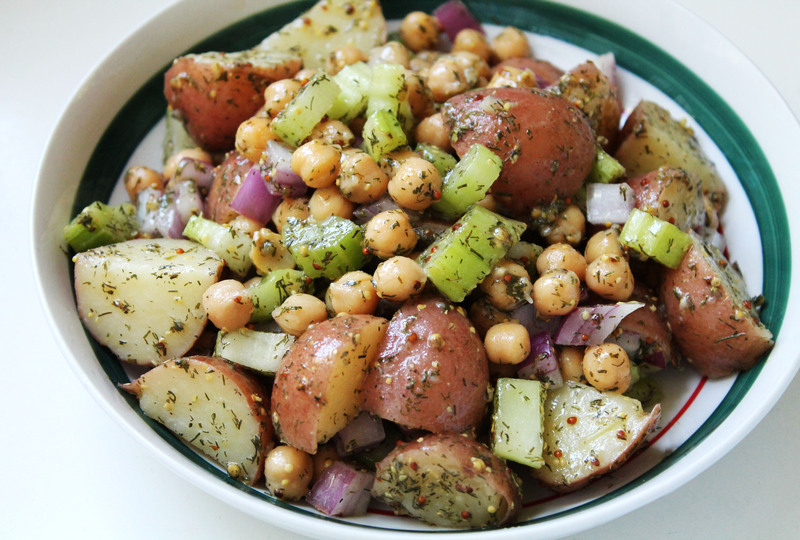 The chickpea and potato salad sounds hearty enough to be an entree (at least for me). I’ll have to try it out as a light summer supper.